Flexibility is the name of the game with the NE-1853. 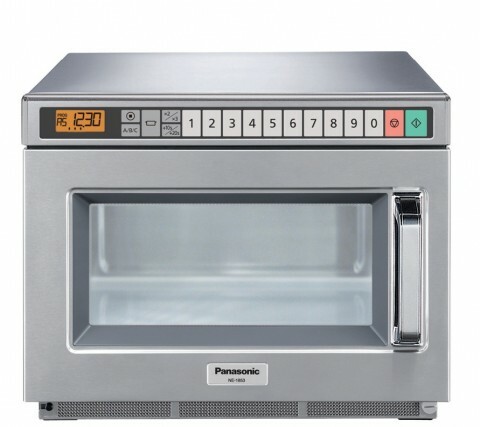 With the benefit of up to 30 customer defined pre-set programs , a 10/20 second boost button when a quick top up of heating is required and a low maintenance, LED interior light that can be set to flash at the end of the cooking cycle. You can even adjust the volume of the ‘beep’. LED interior light, so no more blown light bulbs. The light can also be set to flash at the end of the cooking cycle, which could be a benefit in a busy, noisy kitchen. LCD control screen replaces the old LED unit. This is much easier to read in a bright kitchen.